← Almost Wordless Wednesday… Taking the Plunge at O.T. Some of you may have seen my post on Wednesday about the toilet plungers used by our Occupational Therapist. It was a funny little post about how the plungers help him use his muscles to pull himself around on a scooter board. But underlying the funny, is the reality – Is OT really doing him any good? Truth be told, ever since we began OT, I felt ill at ease with it as a concept. I have tried for -what has it been – about three years? 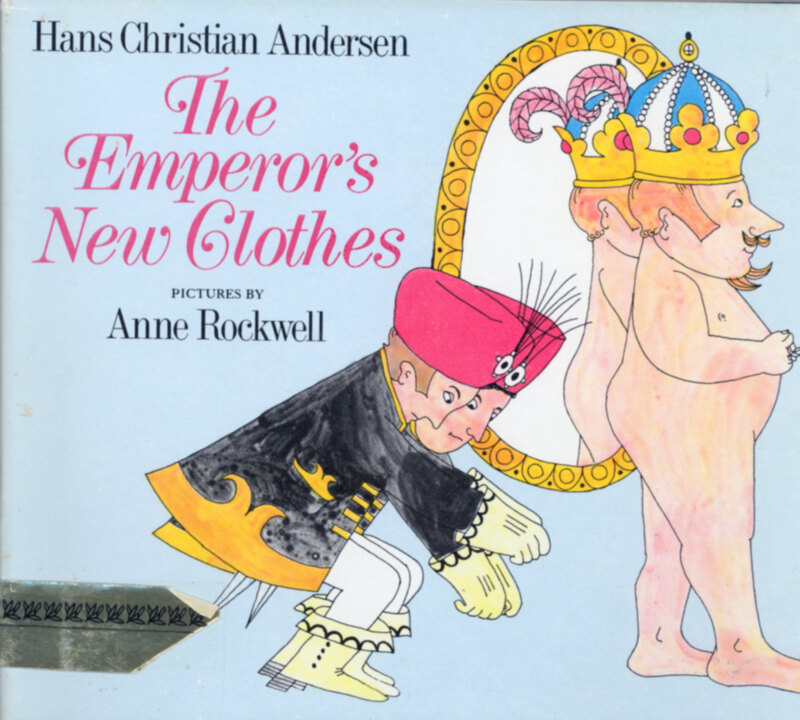 – to “get with it”, to read up on sensory integration, to follow the crowd – to see the emperor’s new clothes. But, if I’m being honest here – OT stands naked before me – I’ve seen nothing that indicates anything I’d really tie to progress through OT. And, look, I’m not saying, I’m right. I’m not saying that OT is not a good fit for someone else. I just don’t see it. I’d like to believe the “brushing and joint compression” routine calms and “organizes” him and I’ve seen him calm down from crying after I do it, but is that really why he calms down? Or is it the effect of massaging type activity on his arms and legs? I hate to admit this but – shhh – I’m not a true believer in the power of OT. I really hesitate to say this, especially since I think our OT is one of the nicest people in the world. And I freely admit that she’s told me all along that once a week sessions for my son are simply not going to do it – I will have to work with him daily on exercises and instructions she gives me too. Again, if I’m being honest – I don’t work with him daily. I’m lucky if I work with him once a week on this stuff. I keep going to OT, partly because it’s what autism moms do. We all take our kids to OT. It’s often part of the school district’s IEP prescription and when we squeeze a paid service out of that turnip of a school district, by George, we’re gonna use it! OT is a standard given in that IEP prescription for us, and we’re using it. But I’m left questioning its value. My little guy took swimming lessons from last October that just ended last month. During the course of that seven months, he has been swimming – but he’s been doing it in an unconventional way. Standard swimming involves kicking the legs and “scooping” in the water with right and left arms in a 360 rotational motion. My kid has been “scooping” only with his right arm, or with his right arm and one-scooping on his left, followed with a half scoop on the left or no left arm motion at all. I complained about this lack of motion. Eventually, the OT checked out his left arm. She said she felt “clicking” and his rhomboid and pectoral muscles were very weak on the left. She recommended we see a physical therapist. Upon her pronouncement, I obtained a referral and then sought out a physical therapist. It finally dawned on me that two buildings over from where I work is a physical therapist who I’ve known for years. He originally worked with stroke victims so I never thought about him as seeing children. I figured, maybe, just as a favor, he could check out my son and let me know what he thinks. He did. I went in with my son and from the first minute or two, he just kept repeating the same word to me – “hypotonia”. Low muscle tone. “But what about the clicking?” I asked. “It’s not clicking. It’s hypotonia,” he responded. He says he works with lots of children now, though he originally started out as a stroke rehab specialist. According to him, my son needs to build up his muscle tone. He says he can do it but he needs to have PT at least three times a week to start, decreasing to twice a week later on. He told me that it’s not just his left arm. It’s his whole body. And that if left unattended to, he could develop scoliosis as he gets older. I got the distinct impression he was unimpressed by any of my son’s providers for failing to refer my son earlier for physical therapy. I admit some culpability here. I had a referral early on for physical therapy from our neurologist and I simply did not understand the importance of physical therapy and never worked it into the schedule. Certainly, it is no excuse, but, why didn’t any of my providers follow up with me? Tell me the importance of PT? Is it because PT is not very important either? Is it because the whole cast of characters that treat autism don’t know what each other are doing? Foolishly, I was a lemming. I didn’t hear the other autism moms saying how they were taking their kids to physical therapy every week, so I didn’t push it. I only heard the mantra of speech and OT, speech and OT. You know, the one that’s drilled into us as autism moms at IEPs where the school district sets the stage by offering that service. And stupidly, since I didn’t hear PT from other moms, I thought it wasn’t that important. I'm a lawyer and the mom of a 6 year old boy with autism. I work part time and spend the rest driving here and there and everywhere for my son's various therapies. Instead of trying cases, I now play Pac-man and watch SpongeBob. I wear old sweaters and jeans and always, always flat shoes to run after my son. Yeah, it's different but I wouldn't change it for anything. The love of my child is the most powerful, beautiful and rewarding aspect of my life. You’re in a tough place, Karen — especially because our kids tend to plateau with skills. FWIW, Little Miss has been in OT and PT since she was 11 months old. She also has low tone (which causes her to have significant issues with balance and gait). After 4 years of PT, Little Miss will still be receiving adaptive physical education in the fall. It is a SLOW process. And that’s where the challenge lies. Each week, we spend precious time with OT and PT. When we see progress, my husband and I are constantly challenging whether the progress is due to OT/PT or the fact that LM has just grown. The only way to measure that is to take away therapies and see how things go. Because LM was in ABA and regular school this past year, we did not have time for private OT and PT. We decided to let the school handle it all. In the past year, LM has made progress in fine motor, but not *nearly* as much as she did when we had private OT. There is a difference… at least for us. OT has been just what my son has needed, but I understand that it might not be for everyone. Or at least, the activities that benefit one child may not be helpful to another. Regarding the brushing, I suggest you read this: http://asensorylife.com/to-brush-or-not-to-brush.html . I follow this OT because she says the most important therapy isn’t necessarily therapy-it’s finding real-life activities and play that are meaningful and fun for children with sensory issues. i don’t know that I am a true believer. it has definitely given me the framework to understand some of the ways my son “regulates” himself and so I am able to allow that to happen or aid in that happening when I might have previously just thought he was being a pain or whatever. But, there have certainly been a lot of moments where it feels a bit hokey to me as well. Good luck with your PT and keep us posted. Yes, I do understand more about sensory processing disorder too but the things that my son does at OT just don’t seem to carry over to anything outside those 4 walls (with the exception of the brushing like I mentioned…massage? Just relaxation?) I know it really works for lots of kids. My son seems more hyper during with no tangible effect post session. And I know I’m not following at home but literally- there are not enough hours in the day… Maybe I’ll try it asan experiment when school is out in a few weeks. Thanks for your perspective. It’s very valued here. I totally understand where you are at right now. I have been there!! Tate has seen a PT since he was 4 and a half. It started out to give him some “hard work” to regulate prior to speech therapy. However, the PT realized that Tate had hypotonia, too. He went once a week, for an hour session. In June, he is being released because he has gotten strong enough that he’s able to perform “typical” tasks that any 7 year old can do. Best of luck to you and Toots! Thinking of you! Again, I’m struck by how out of the loop, I feel! For Toots, the brushing does keep him calm as it happens but once it’s over, he’s just as wild as ever, if not more so. I don’t see fine motor improvement unless I sit with him and give him consequences (if you don’t finish this, then no going to the store….) Suddenly, he will write like a first grader instead of like a preschooler. He still is unable to draw. We lack motor planning though he’s slightly improved over two years ago. He still eats finger food to avoid utensils and cannot successfully build with Legos or so puzzles unless they are laid out for him. It’s encouraging to hear that Tate has made so much progress through PT. Though my son and yours have had different responses to OT, it gives me hope that Tate is doing so well. Thanks! For years Michele & I too Kyle and Hunter to speech therapy on a weekly basis, probably 5 or 6 years, 52 weeks a year and one day the therapist says to us, I think your sons may have Autism as well as Down syndrome and because they are dealing with multiple issues, they may never speak. Wow, could she maybe have told us that 10 thousand dollars ago? When the boys were very young but not talking we introduced them to sign language for basic things, which they still use today at age 18 and when they started to verbalize, we stopped signing . . . mistake number ?? I can’t remember . . . Anyway, we found a camp that offers one week of intense therapy, OT, PT, Music, Art, Horseback riding, Swimming and we took the boys starting at age 2 and that one week was so beneficial for the boys and us that we still take them every summer. Two years ago we saved enough money to take them 2 weeks during the summer to prevent as much regression(sp) as possible and it has been amazing. Point is as parents we do as much and as many ‘things’ as we can for our kids, sooner or later something works and we kling to it. I hope for you and Toots, you find your something, life really gets fun when you do. Thanks Kelly. It helps to hear that we all make mistakes along this road. It’s crossed my mind how nice it would be to have a sort of “continuing education” for parents of special needs children but I guess the best we can do is share our good & not so good here and hope for enlightenment through the experiences of others. I hope this latest adventure leads us on a productive path. I know what u mean. I have windered if OT is helping my kids. But if we stop, I don’t have anything to replace it with and I guess I feel like we should keep it up just in case it is helping. Its not hurting. Thanks Deenie. You always say the most practical things with such ease that it makes me realize it doesn’t have to be complicated. It can just be. Keep going. It is not hurting and could be helping. I just still wonder though, if I put him in karate or gymnastics could he have more fun building his core with the same results? Good timing with this ’cause suddenly my son who normally used to be excited about going to OT is showing some behaviours to the therapist that used to mean 3 years ago that he did not want to be there. He loves his OT but its like around the same time we noticed that he was self regulating better this started happening and we have wondered if he needs a break from OT. You are so right about it being drummed into our heads about OT and Autism and sensor integration. When you mentioned PT it got me thinking about my eon’s preschool that had a PT on staff and a OT consultant who came in to advise. The PT was able to get my son to do a lot of things is start pedally a trike so maybe you are on to something. Btw my daughter was diagnosed with hypotonia as a baby. How it manifests itself can look like tiredness and frankness because their little bodies just give out sooner. I write this because I just saw your post about T’s eyes.